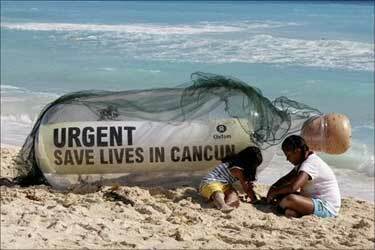 Two Indian ragpickers took their protest against loss of livelihood to rubbish-guzzling incinerators to Cancun, seeking a role in the Global Climate Fund as they underlined the importance of recycling to combat rapid climate change. Vatsala Gaikwad and Supriya Bhadakwad from Maharashtra hopped on a plane for the first time to protest about the loss of their jobs to rubbish-guzzling incinerators, which pump out carbon dioxide, as the 193-nation UN climate conference in Mexico moves into its decisive final week. These women assert that since the municipal corporation takes the garbage directly to incinerators owned by private companies, their livelihood of picking garbage is being destroyed. "Our livelihood is being taken away and thousands of people are suffering losses....if they burn the garbage then we can't earn...where will our daily meals come from and how will we eat," said 54-year-old Gaikwad from Mumbai. 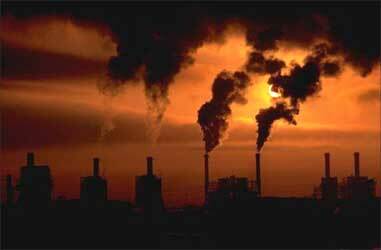 "Our work is environmentally friendly but these burning places increase the pollution," she added. These women represent communities, which for generations have made their living from separating different kinds of rubbish from landfills across the country. Much of what they collect like - plastic bottles, aluminium and paper - can be recycled. 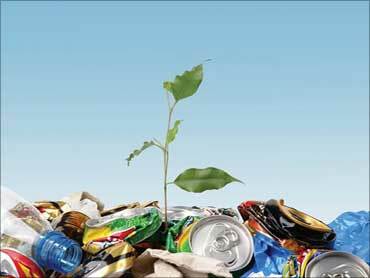 But increasingly, heaps of garbage is being taken to incinerators, which disposes of the waste quickly and cuts out the option of recycling. "We're concerned about the environment and about employment," said 34-year-old Bhadakwad from Pune. "The material that can be recycled is also destroyed in these machines," she said. 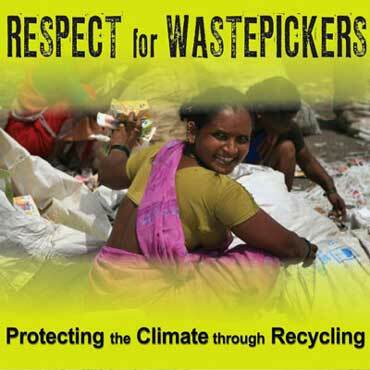 They are both part of the Global Alliance of Wastepickers and they want to be included in the Global Climate Fund, which has been established to give out money for various projects and policies to facilitate adaptation to climate change. The Cancun talks seek to produce decisions on establishing a "green fund" to help poorer nations rein in greenhouse gases and to adapt their economies and infrastructure to a changing climate; an agreement making it easier for developing nations to obtain patented green technology from advanced nations; and pinning down more elements of a system for compensating developing countries for protecting their forests. At the same time, both Indian women admit that it has been adventure leaving their homes for the first time, and coming to sunny Cancun to be part of the annual climate change meet. "We are really enjoying ourselves... I like Mexico," said Bhadakwad. "I was a really scared first....leaving my family for the first time but then my husband was supportive and he said go see Mexico." "The flight was a little scary but then you get used to it," said Gaikwad, adding "We have a lot to tell the folks back home." What impact their presence in the midst of quarrelling negotiators has had, remains to be seen but both women are happy to have made the journey and made their voices heard. "We'll tell people at home that we came and described what is happening to us," Gaikwad said, adding "We said what was in our heart and even if a few people hear this then it is a start." Both, however, say they are missing Indian food. "The salt is less here," said Bhadakwad, as both women began laughing. "The toilets are also different."